Helping clients understand their current financial position and providing advice on a range of strategies that can help them achieve their retirement goals is central to Alex O’Brien’s role as Director. 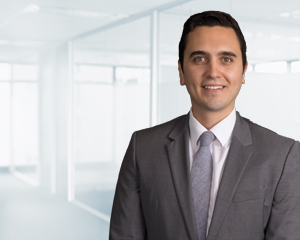 A member of the Family Wealth Management strategy team, Alex has expertise in superannuation including self managed super funds, tax-effective strategies, retirement planning, wealth accumulation, personal insurance, debt management, cash flow analysis and succession planning. Alex has a Bachelor of Applied Finance and Bachelor of Economics from Macquarie University. He also has a Graduate Diploma of Financial Planning from Kaplan Professional and is a Certified Financial Planner® (CFP).